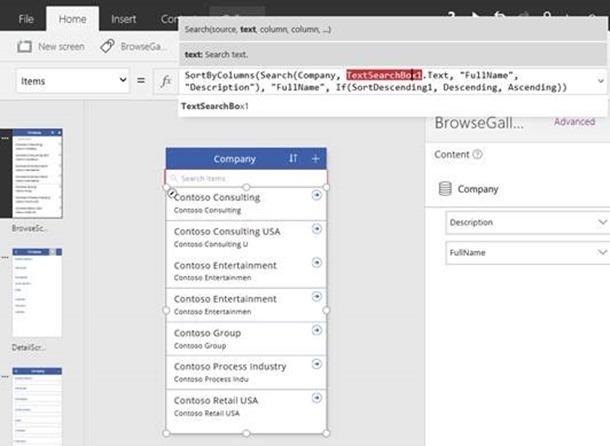 With release 2.0.511, we are happy to announce more features that will make better PowerApps experience. 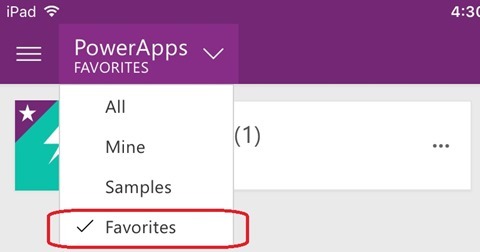 Favorite feature allows you to mark apps as favorite and favorite app list can be found in the app list dropdown. 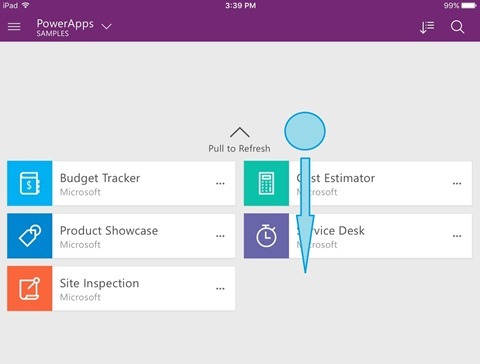 Pull-to-refresh gesture is an easy way to update app lists in mobile clients. Mathematical functions are helpful when creating apps with numbers and calculations. Considering different input needs, it is your choice to delay input reaction. Besides all the features, we also fixed client for iOS 10. 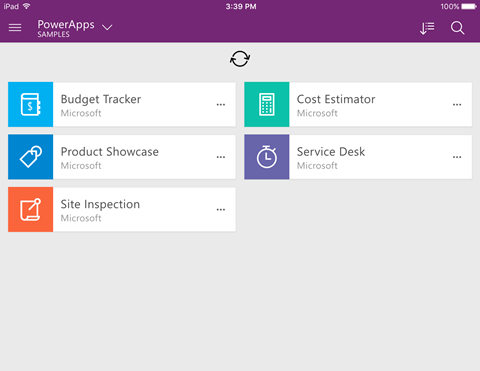 You should be able to log in and use PowerApps on iOS 10 now. Favorite feature is added to the three-dot dropdown options of an app. By clicking the Favorite, the app is marked as a favorite app. Favorite apps have a star mark on the top left corner of the icons. We’ve also added a Favorites list in the dropdown app lists. You can find all your Favorite apps here. In mobile clients, pull down on the screen can refresh the app list. The refresh is based on the current app list option and sorting option. In this case, set the DelayOutput to true. Here is an example. We have an app generated from data. 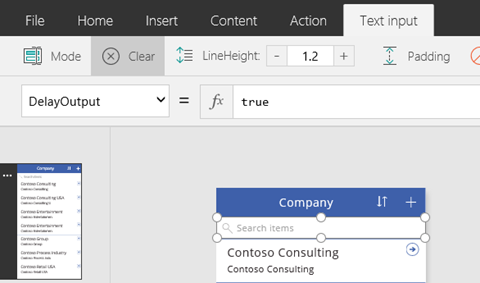 Notice that changes in TextSearchBox1 would trigger a search on the Company entity. To optimize the performance and utilize network efficiently, we need the search to trigger at the time when user take a brief stop from typing, which usually imply that user has finished typing a word or phrase. Set DelayOutput of the input box to true to delay action during text input. In this case, by setting DelayOutput to be false, any change in the canvas can trigger instantaneous changes. Here is an example, the Total in the picture below is equal to Price times Units. Setting DelayOutput to false, you can trigger live updates with the Total while user is still typing. When users are using the app, the Price is 4 and calculation starts while typing 100 in Units. 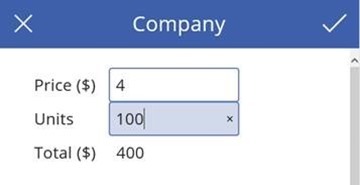 This is a simple calculation and the result is given when user finishes typing 100. 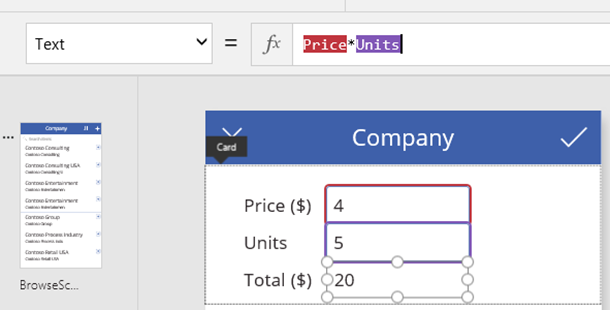 For your calculating pleasure, we have added more mathematical functions. There functions have the same names and arguments as their counterparts in Excel. Calculate sine, cosine, tangent, and other trigonometric values. Easily access the value of π. Convert between units of angle. Calculate natural exponentiations and logarithms. For more information, see Trigonometric functions and Numerical functions.